Surprise! There’s more to Tuscany than the rolling hillsides and beautiful towns. 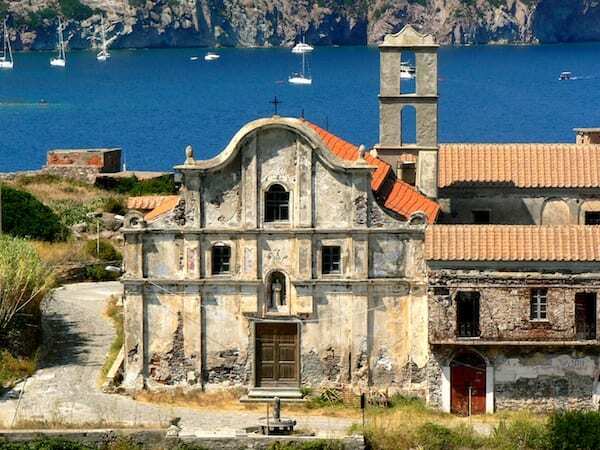 Head to the coast to get in touch with the Tuscan islands – choose one of the seven beautiful islands that make up the Tuscan Archipelago: Giglio, Capraia, Montecristo, Pianosa, Giannutri, Gorgona and the island of Elba. The islands off Tuscany have some of the most natural, well-preserved flora and fauna in the entire country, with water so crystal you can view schools of fish clear to the bottom. They’re so beautiful in fact, that it is said they are gifts from the gods. Legend has it that when the beautiful Venus emerged from the sea, her necklace broke and seven pearls fell, forming the seven Tuscan islands. The islands off Tuscany and their surrounding waters are under the protection of the Parco Nazionale Arcipelago Toscano, the first great marine park in Italy and the largest protected marine area in Europe, for their environmental value. While international tourists might overlook these islands, the Italians have known for some time and flock to the beaches in July and August. 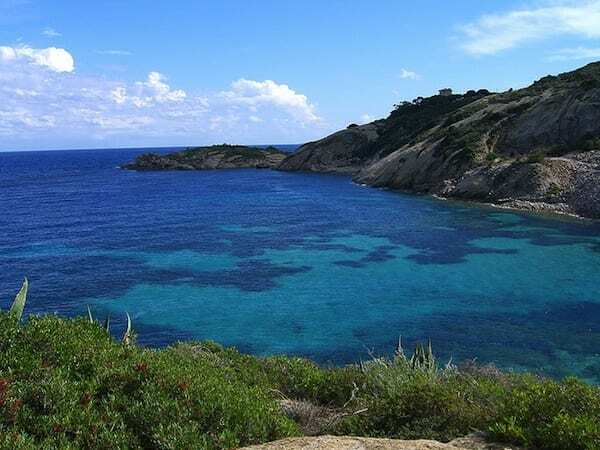 You can plan to visit just one, or connect ferry rides from one to another, island hoping with the coastline or with the island of Elba as your base. Each island has something unique to offer – just take your pick! The biggest of the Tuscan islands, Elba is easy to get to and a good base if you want to explore some of the nearby islands. Perhaps most famous as the island of Napoleon’s exile after the Treaty of Fontainebleau, today it’s known among Italians for it’s great panorama, beaches and weather. It’s therefore best to book ahead for July or August as the beaches fill with visitors. The fish-shaped island has more than 70 beaches, excellent hiking trails and numerous bays and coves to explore. It’s not such a stretch to call the island of Elba a paradise-on-earth, making it the most popular of the seven. The island is connected to the mainland by a daily ferry service (the distance between Elba and Tuscany is about six miles), it takes about 40 minutes. There are a couple of different ferry options to Elba, but the fastest is to catch a Ferry from Piombino. You can use the Toremar ferry, Tel. 199.11.77.33 from Italy and +39 02.39595013 from abroad; Moby, Tel. +49(0)611-14020; or Blu Navy, Tel. +39 0565.070327 or +39 0565.1835043. Be sure to arrive at least 30 minutes before and up to 90 minutes before if you have a car. Or, you can fly directly to the island to the airport at Marina di Campo. The second largest of the islands, think of the Tuscan island of Giglio as Elba’s younger sister, often overlooked for Elba but with just as large an offering. Though now it’s perhaps most known as the place where the Costa Concordia cruise liner sank in 2012, Giglio still has a lot to offer. The ferry will take you to the Giglio Port on the east side of the island, a perfect starting point. From here you can hire boats, tours and rent snorkeling or scuba diving equipment, or simply explore the restaurants and bars that line the seaside! The best beaches on the island of Giglio are in Campese, on the west side of the island, and you can view an 18th century tower built by Cosimo de Medici, the head of Florence’s famous ruling family. When you’re not on the beach or soaking in views of Tuscany during an inland hike, check out the Giglio Castle or explore the coves near Punta Capel Rosso by boat. This tiny island of just 390 people has at one time or another been ruled by Greece, Genoa, Sardinia, Saracen pirates from North Africa and even Napoleon! While all of the islands off Tuscany are still relatively wild compared to the cultivated and settled islands like Corsica and Sardinia, Capraia’s coastline and landscape is perhaps the most dramatic with high cliffs, isolated beaches and untouched inland terrain that is perfect for hiking or biking. In the south you can even find traces of an ancient, now-extinct volcano. 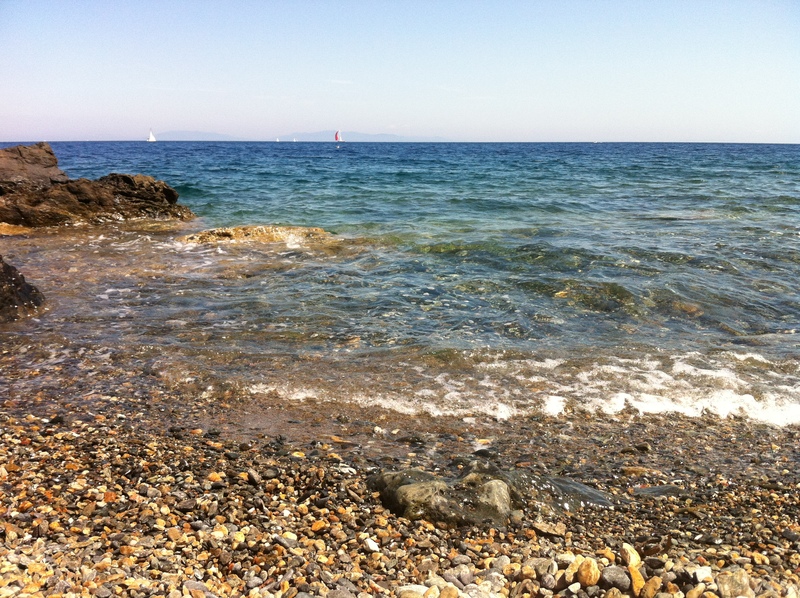 The crystal clear water that surrounds Capraia makes it very popular for snorkelers or scuba divers who want to view the abundant marine life or explore underwater archeological sites. Toremar offers ferries from Livorno to the island of Capraia once or twice daily year-round. The ferry takes about 2.5 hours and most schedules allow a return trip in the same day but check twice before booking if that’s your plan. You can also take the ferry from Gorgona for a day trip. Montecristo is perhaps most famous from Alexander Dumas’ book, The Count of Monte Cristo, written in 1844, supposedly after Dumas fell in love with the small island after a visit in 1842. It’s not hard to do, but actually the book’s descriptions aren’t so accurate to the real island. Montecristo is the most pristine and remote of the Tuscan islands. The island was home to a community of monks until the sixteenth century where they thrived on the beautiful land, living in nearly complete seclusion for decades. In 1971 Montecristo became a nature reserve and is now closed to boats and tourists without a special, very reserved permit to protect the island’s fragile ecosystem. Very determined visitors can be put on a waiting list through the Corpo Forestale di Follonica to get a permit, but be warned that sometimes it takes up to two years to get permission, only 50 people are allowed to disembark on Montecristo per day and it is prohibited to swim, camp or fish on the island. The price of the admission is about €50 per person. 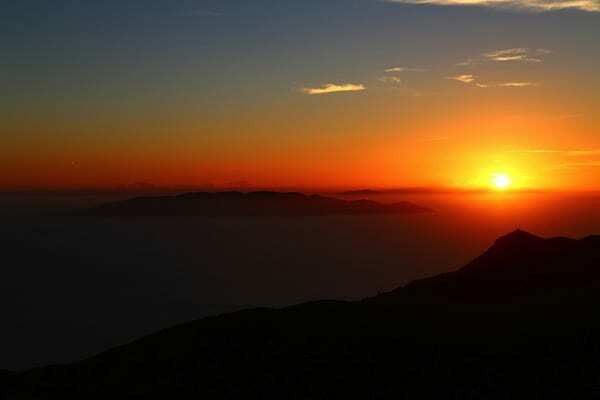 Just 14 km from Elba, Pianosa is the lowest island of the Tuscan archipelago, rising just 29 meters above sea level. In fact, it’s the extreme flatness of the island that gives it its name, piano meaning flat in Italian. Apart from Montecristo, Pianosa is the most secluded island. It’s been closed to the public since 1858 when it was used as an agricultural penal colony. In 1970 the penal prison upgraded to a maximum-security prison until it closed in 1998. Don’t let the rough history deter you, the isolation of the island protected its particular micro-ecosystem, allowing the flora and fauna to truly take control. 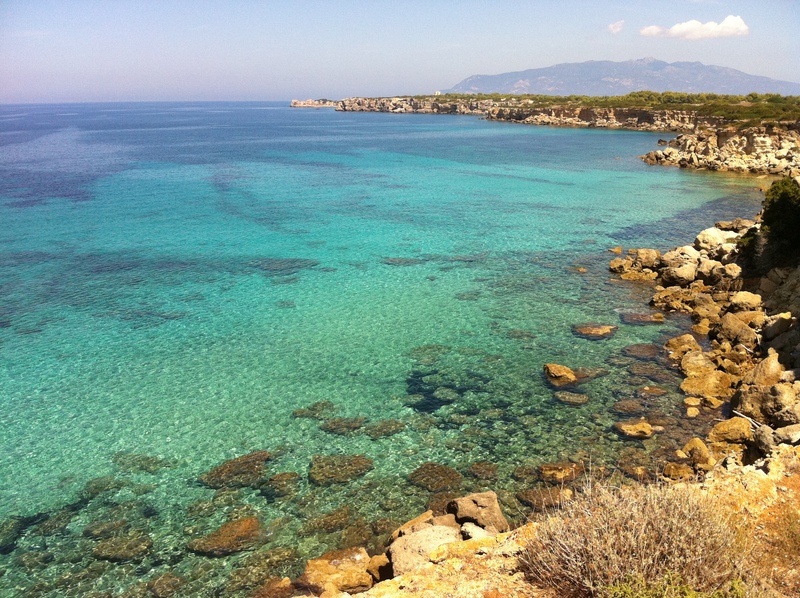 Only 250 visitors are allowed daily to sunbath on the Cala Giovanna beach, snorkel in the crystal-blue water or take guided biking or walking tours throughout the island, but the permission is received rather easily and is well worth it! Because of the protection placed on this Tuscan island, visits are only available through a travel agency. The Toremar ferry is available on Tuesdays year round from Rio Marina in Livorno (tel. 0565-960131) or the Aquavision ferry (tel. 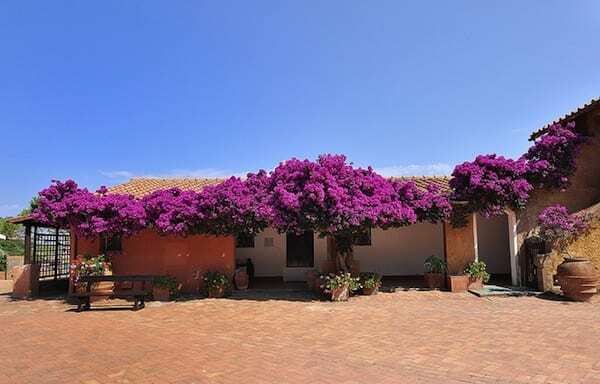 0565-976022) is available from Marina di Campo on Elba Island. Tiny Gorgona is the northernmost island and just a dot on the map in the Ligurian Sea. Largely uninhabited, the penal establishment on the island means it can only be visited with a guide and with a series of controls at least fifteen days before the trip. Though a jewel, this is a largely prohibited island. So why visit a prison island? Because with a population of just 300 the island is a natural paradise. Go to see the rugged coastline and spectacular coves. Swim in the pure, uncontaminated water and enjoy the all-but private beaches. During your guided tour you’ll walk the island, have a picnic, swim in the crystal clear waters and cruise around the island on a small boat. Farther from the Tuscan coasts, you can take an early-morning ferry from Livorno to Gorgona on Mondays or Saturdays for a one day trip, weather permitting. Since it is a prison, travelers can only go to the island in small groups accompanied by a tour guide. Just slightly larger than Gorgona, Giannutri is the southernmost Tuscan island. Giannutri is a mainly rocky island with just short stretches of sandy beach in the north. Go instead to scuba dive or explore the wild coastline by sea kayak. After, head inland to explore the Roman ruins from the first century A.D. You can explore the ruins of the villa Agrippa where Emperor Nero’s family once lived, those of a Roman temple and the original Roman port. Scuba divers can spend hours exploring the wrecks of Roman ships in the crystal clear water but be sure to visit the blue water grottos, it’s said Cala dei Grottone is the most beautiful. 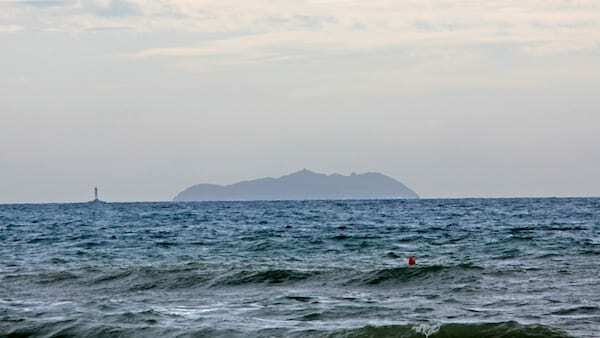 Like Giglio, Giannutri can be reached from Porto Santo Stefano. In summer time it can also be reached by ferry from Giglio Island using Maregiglio ferry company.